The Emeryville Connection: Bringing Anyone Together? Not! Who's REALLY Trying To Buy Emeryville? Since last week's city council vote to fund the Chamber of Commerce and their newspaper the 'Emeryville Connection' with public money, it's instructive to see just what we're going to be buying. 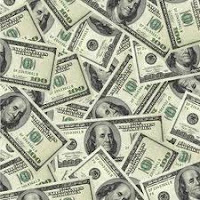 How far is the Chamber of Commerce willing to go with our money to make sure their candidates for city council are elected? Below is a story from October 2007 when the Chamber endorsed Ken Bukowski, Nora Davis and Ruth Atkin for the council. Reading the story, it is readily apparent the Chamber doesn't limit itself only to endorsing candidates, negative attack pieces are part of the agenda as well and they have not shied away from using lies in furtherance of their political goals. The story below illustrates the Chamber of Commerce's outrage that out-of-town labor interests are behind the election of challenger Shilen Patel. An interesting comment coming from the president of the Chamber, Bob Canter, himself an out-of-towner from Martinez. What the Chamber isn't telling Emeryville voters is that their candidates are funded almost entirely by out-of-town corporate developer interests. The Chamber discredits the Emeryville resident grassroots campaign that Mr Patel garnered, not letting on that their candidates truly had virtually no grassroots support. The Chamber claims Mr Patel is not qualified to be on the council since he had not sat on any committees in town. They retell this same old concoction from Mayor Davis, heard every election cycle that only "experienced" candidates are permissible. What they don't say, conveniently, is that only by getting in the good graces of Mayor Davis are residents allowed to sit on any committees. It's a perfect system for getting only their preferred candidates elected. Interestingly, while the Chamber of Commerce is telling readers that labor support disqualifies candidates for the city council, they fail to mention that two of their own; Ruth Atkin and Kurt Brinkman both received labor support. Had they done so, it might have tended to discredit their oft repeated claim that those supported by labor won't work in Emeryville's interests. At least working people live and work in Emeryville unlike the corporate CEOs the Chamber seems to love so, another fact they don't mention. We have no problem with the Chamber of Commerce supporting the candidates they want and even denigrating those they don't (as long as they're not engaging in deception). The problem is they should do it on their own dime. It is dead wrong for the city council to force the taxpayers to support this naked politicking, regardless whether they think they will be helped in their re-elections by the Chamber. The Chamber of Commerce asks the readers of the story below to investigate for themselves and then decide, knowing that without a newspaper in town virtually none will. So we repeat; read the story below for yourself and then decide, is this really where we want our taxpayer money spent? WHO’S TRYING TO BUY EMERYVILLE? of September 27th, the vast amount of Mr.
best interests of THIS community at heart. electorate, or his out-of-town supporters. An anonymous Tattler commenter got it right: The recent vote by council members Ken Bukowski, Nora Davis and Kurt Brinkman to extend public money to restart the Chamber of Commerce's newspaper sounds like mutual backscratching. 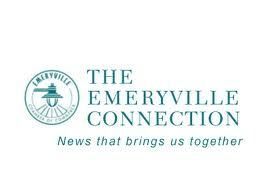 The newspaper produced by the Chamber, The Emeryville Connection, can't make it on its own. The last issue came out in October of 2009 just before the last Emeryville election where they strongly endorsed Chamber member Kurt Brinkman and Planning Commissioner Frank Flores. They called subsequently elected council hopeful Jennifer West, "inexperienced" and "against growth" and urged voters to reject her. Just that offensive and those endorsements alone should automatically disqualify the Chamber of Commerce and their Emeryville Connection from receiving any public money. But the Emeryville Connection also strongly endorsed the re-election of Ken Bukowski and Nora Davis in the previous election while they ran a campaign of disinformation and smears against challenger Shilen Patel. In addition, Mr Bukowski, Ms Davis and Mr Brinkman all took election campaign money from the Chamber of Commerce's political action committee before they voted to grant the Chamber free rent at their headquarters at 3980 Harlan Street, a property leased by the City. The fact that the Chamber of Commerce even has a political action committee should bar the organization from taking public money. Distressingly, the one year contract with the City voted on by the three council members will enable the Chamber and the Emeryville Connection to smear some candidates and endorse other candidates for council, all with public money in the November 2011 election, a point undoubtedly not lost on the Chamber. This all smacks of old fashioned patronage politicking, perhaps not illegal but it certainly lacks transparency. We call on these three council members to call back this arrangement with the Chamber of Commerce. We feel it is OK for the City to spend money to try to attract business to town but funding a partisan newspaper produced by an organization so heavily involved in Emeryville elections is beyond the pale. We say this public money for the start-up of the defunct Emeryville Connection is dirty politics. The people of Emeryville deserve a better kind of politics than this. The same newspaper that has endorsed the elections of Ken Bukowski, Nora Davis and Kurt Brinkman will now receive public money courtesy of Ken Bukowski, Nora Davis and Kurt Brinkman. The city council voted last Tuesday to grant the Chamber of Commerce, a private company, $25,000 for consulting services related to certain economic development programs and the city's Climate Action Plan. Included in the economic component of the agreement is funding to restart the defunct Chamber newspaper for one year to "disseminate information" about the city's 'enterprise zones', a business promotion scheme. The vote was 3-1 with Jennifer West dissenting and Ruth Atkin was absent. For years, the City paid outright to print the Chamber of Commerce's highly biased newspaper, the 'Emeryville Connection' but the controversial funding ultimately was discontinued after mounting public outcry ensued over the inappropriate use of public money for such a partisan purpose. The Emeryville Connection sputtered along on its own for several months before it finally stopped production in 2009 do to lack of money. Now the shuttered newspaper is to have new life breathed into it once again; like before with Emeryville taxpayer's money. The Chamber first approached the City with the funding idea, drawing an enthusiastic response from the city staff who exclaimed the Chamber's "excellent working relationship with the city" in the accompanying report to the council. The approved agreement pays the Chamber of Commerce $100 per hour, its billing rate based on monthly invoices until the $25,000 is used up. The Chamber would then be free to renegotiate another contract with the City. The Emeryville Connection newspaper, with its logo "news that brings us together", endorsed many city council candidates over the years including Mr Bukowski, Ms Davis and Mr Brinkman but it also devoted pages against other candidates including council member Jennifer West and former councilman John Fricke. In addition, the newspaper urged readers to vote for or against many local Measures including No on Measure C, the living wage ordinance for hotel workers. Legions of critics of the Emeryville Connection say the newspaper was very hostile against workers and routinely favored business at the expense of the residents. Council support for funding the newspaper last Tuesday night followed partisan lines with those members that have received favorable treatment by the Chamber over the years supporting it and the one member that received Chamber condemnation opposing it. Council member West inveighed against the funding, citing the considerable largess already bestowed upon the Chamber of Commerce by the City including the rent free office space the Chamber enjoys at the City's expense. The staff however said in their report that the Chamber should receive the money since the agreement between the Chamber and the City will "enhance the City's ability to achieve goals and objectives related to the Enterprise Zone, its Climate Action Plan and business attraction, retention and workforce development programs". The city council took testimony from an aggrieved resident neighbor and a representative of Wareham Development Corporation as to the ongoing attempts to mitigate noisy machinery on the roof of one of the developer's buildings on Tuesday. The building, located along Hollis Street north of Powell Street and dubbed Emery Station East by Wareham, was built with loud machinery on its roof from laboratory use, the building's primary function, and has been the source of much consternation among residents of 'Elevation 22', a condo project located across Hollis Street. The city paid Wareham $130,000 in May, half the cost to build a roof screen 'sound wall' that was recently constructed to help mitigate the problem. Wareham for its part paid for half the cost of construction of the wall. The city might make further payments in the future but the council took no specific action Tuesday. The council agreed in 2009, to pay up to $300,000 to Wareham to offset problems with the sound from the machinery after neighbors from Elevation 22 mounted a campaign against Wareham. An additional $170,000 of public money will be held in reserve if more sound mitigation is needed. The city has continued to receive noise complaints from neighbors after the sound wall has been completed raising the likely hood that Wareham will be the beneficiary of more of the public money. On Tuesday, the Wareham representitive opined that the ongoing noise, after the completion of the soundwall is ambient background freeway sound and not attributable to Emery Station East. The Elevation 22 resident disagreed, "We did not have this noise issue before Emery Station East was built. Had we known all this was coming, we would never have moved there" he said. For the record, Elevation 22 was built in 2004 and Emery Station East was built in 2007. 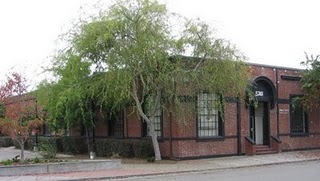 To those who might wonder why the city should be expected to pay for Wareham's loud machinery, the city staff reported that the financial assistance to Wareham, a San Rafael based developer, was required because of the "close proximity of residential development to laboratory uses in the building". This is not the first time Wareham has gotten into hot water with residents. Over the years the developer has cut a swath of bad building practises, netting much resident wrath. Several years ago the developer settled a lawsuit after a protracted fight for the leaking and shoddy workmanship of its condo development known as the Terraces next to the Amtrak station. Two Wareham commercial development projects across Horton Street from Amtrak were approved without adequate delivery truck parking resulting in an ongoing problem with trucks blocking the bike lane along Horton. The Bike/Pedestrian Committee has made formal complaints to the city of poor planning by Wareham in response to the dangerous condition. Critics have complained that the city has lavished millions of undeserved taxpayer dollars in subsidies on Wareham for its development over the years. In February, the council approved a large and controversial Wareham development project, the 'Transit Center" north of Amtrak and has agreed to pay Wareham $3 million in subsidies for the project. For its part, the city staff chastised the Elevation 22 residential neighbors in a report to the council about the noise from Emery Station East claiming, "It should be noted that this is a mixed use area and noise conflicts will always be a concern to those who choose to live in such areas". Council member Nora Davis agreed and dismissed the complaints from Elevation 22, "This is big city living" she reprimanded. Neighbors claim that it is clear Wareham didn't accurately calculate the noise profile from their machinery and they failed to properly plan for sound attenuation from the beginning and so now the taxpayers are stuck fixing the problem. In the continuing highly public downward spiral of Ken Bukowski, the embattled council member announced his resignation from all of his city committee seats in protest over a refusal from his colleagues to seat him on any regional committees Tuesday night. After his colleagues in the council chambers unanimously said no to his request to sit on three greater regional government committees representing Emeryville, Mr Bukowski angrily told his colleagues he will resign from all his city committees. He told the other council members, "If I'm not good enough to serve on a regional committee, then I shouldn't be serving on city committees". He asserted that a campaign of persecution was being waged against him. Mr Bukowski currently serves on at least nine city committees including the powerful Transportation Committee and City/Schools Committee. The falling out with his colleagues began more than two years ago after the local news blog The Secret News broke a story about Mr Bukowski's failure to pay his required business taxes in the city. After the story was picked up by the mainstream media including the San Fransisco Chronicle, the council began to move against him, ultimately leading to a full censure. Tuesday's rebuff of Mr Bukowski comes on the heels of a scathing December 2nd New York Times article wherein the councilman admitted to a long history of methamphetamine use, an open secret for years. Mr Bukowski lashed out against the other council members after the vote came down against him Tuesday night, "I'm so tired of this persecution over all this stuff in the press and in the media" he exclaimed. Tuesday night, the city council approved a development extension to Archstone-Smith Inc, a Colorado based Real Estate Investment Trust to start building an already approved housing project at the corner of Hollis and Powell Street. The developer claimed the recession has made building the project, dubbed Papermill, too expensive at this time and the council granted a two year extension on the contract. The vote was 3-0; Ruth Atkin was absent and Jennifer West recused herself and abstained from voting since she lives closer than 500 feet from the proposed project. Council member West left the dais but spoke as a private citizen and she said the proposed project is flawed since there are only six three bedroom units in the 166 unit development. Ms West said the city needs to get serious about providing family friendly housing especially in light of the looming schools rebuild mandated by the recent voter approved Measure J. Council member Nora Davis took issue with Ms West's assessment calling the proposed housing "family friendly already". The developer has already used up one extension since the project was approved in November 2008. The approval proved contentious at the time since it involves the tearing down of two brick buildings, one of which was classified as "architecturally significant" by the city's general plan. The plan specified the building was not to be substantially changed. The city received an October 15 letter from a company representative asking for another extension, claiming it is still interested in building the project but is having difficulty financing it. UCSF's Don Ganem will build Novartis' infectious disease unit in Emeryville. Drug maker Novartis will shift the headquarters of its infectious diseases unit from Cambridge, Mass., to Emeryville. It is unclear how many jobs will move from the East Coast because of the decision or how many people will need to be hired in the Bay Area. The Swiss company also said it has hired University of California, San Francisco, professor Dr. Don Ganem as vice president and global head of infectious disease research for the Novartis Institutes for BioMedical Research. 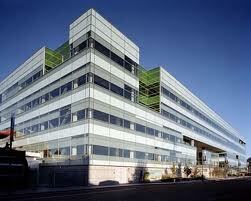 The institute is the pharmaceutical research organization for Novartis. Novartis employs about 120 people in the infectious diseases unit in Cambridge, said spokesman Jeff Lockwood. It is unclear how many of those positions will move to Emeryville — or when they could move — or how large the Bay Area operation eventually could be. “There will be (an infectious diseases) group that is grown there,” Lockwood said. Novartis has based its vaccines and diagnostics business in Emeryville and performs some cancer research there as well, but it has no employees dedicated to infectious diseases in the Bay Area. “It was an opportunity to grow in an area where we had some capacity, and there’s a strong talent base in infectious disease research,” Lockwood said. Ganem’s hiring, effective the beginning of the year, “added some sense to (the shift from Cambridge) as well,” Lockwood said. Ganem’s lab at UCSF looks at the molecular mechanisms of the replication of human viral pathogens and the biology and pathogenesis of their resulting diseases. It has worked on Kaposi’s sarcoma, a cancer found largely in AIDS patients, and its causative herpesvirus, KSHV. A UCSF team led by Ganem and Joseph DeRisi helped identify a virus, called avian bornavirus, that had killed parrots and exotic birds for more than 30 years. The team also develped a diagnostic test for the virus. And so ends the short tenure of Dr John Sugiyama, Superintendent to the Emery Unified School District. After two years at the helm Superintendent Sugiyama, 62, recently announced his retirement, prompting the school board to seek the services of an executive search firm to find a replacement. It will be the seventh time the troubled school district has changed leadership in nine years since former Superintendent JL Handy resigned following a grand jury indictment for ethics violations including personal use of a district credit card. Following Mr Handy's resignation, the district declared bankruptcy and was taken over by the State of California and infused with a $1.2 million loan, of which some $800,000 is still owed. Mr Sugiyama himself replaced Superintendent Steven Wesley who was fired after the San Francisco Chronicle revealed he had lied on his resume including falsely claiming he had achieved a PhD. The Chronicle reported Mr Wesley's resume was "riddled with falsehoods". The school board selected Mr Wesley from a group of seven finalists brought to them from the executive search firm 'California School Board Association'. School board president Josh Simon said after the false resume was exposed, "I'm certainly surprised, CBSA did background checking for our applicants. None of this came up". For its part, the search firm said resume checking was the responsibility of the school board and not within the scope of its contract with the school district. This time the school board has hired 'Leadership Associates', a southern California based search firm that specializes in school superintendent searches. The firm prominently lists that "references will be checked thoroughly" as one of its core services. Always intended as an interim superintendent, Mr Sugiyama's contract will expire in June and the school board expects a replacement to be named by the end of March. In the wake of the Wesley debacle and at the request of Leadership Associates, the school board has decided to solicit the resident's opinions and agreed to open the selection process up to community input. The public is invited to comment and the district has set aside the Emery Theater on the high school campus for testimony on January 10 from 5:00 to 6:00 pm. Re-print from the Tattler from last February but always relevant in Emeryville. Former Finance Director Edmond Suen is no longer employed by the City of Emeryville. Karen Reid now serves as Chief Financial Officer for the city and she, like Mr Suen thinks Emeryville is a great place to live (for someone else). What is it about Emeryville that makes its biggest boosters run for the hills when the sun goes down? Many of those steering Emeryville's public policy, shaping its urban design and singing its praises loudest, live elsewhere. A telling detail, as it were. At the same time, decisions regularly bend to fit the desires of these same out-of-towners. From the Fire Department to the Police Department to City Hall, virtually no one on the payroll actually lives here. It's not a question of money. Most officials are paid incomes comfortably into the six figures. City Manager Pat O'Keeffe can afford to, but he must not think Emeryville is the kind of town he wants to live in...so he doesn't. Likewise Planning Director Charlie Bryant and City Attorney Michael Biddle, they don't either. 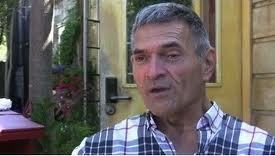 City Engineer and Public Works Director Maurice Kaufman likewise makes his home elsewhere. City Clerk Karen Hemphill lives somewhere close by and Finance Director Edmond Suen thinks Emeryville is a great place to live; just not for him. The pattern isn't limited to the public sphere. Emeryville's biggest boosters, the Chamber of Commerce, may constantly lecture residents about the good of unfettered development, but living in the midst of it isn't their cup of tea. Chamber CEO Bob Canter loves Emeryville so much, he lives in Martinez. The Chamber's Vice Chairman, Mason Myers, may wax poetic about a magic transformation from post-industrial slum to the Bay Area's best place to live, but to reach him at home, you must first dial 1 (415), just like Ken Bukowski. Is this a case of listen to what we say, not what we do? Maybe the fact that these people are making a handsome living off of the transformation of Emeryville is the real driving force. Follow the money, as it were. Perhaps what is most illustrative is that their vision for Emeryville is so great, even they don't want a part of it. Jensen Architects' concept for the Emeryville Center for the Arts includes a glass-encased theater rising alongside an open-aired terrace within the shell of a former manufacturing building. The architect of the popular sculpture garden at the San Francisco Museum of Modern Art has a new cultural gig: the new Emeryville Center for the Arts. The board of the young institution selected Jensen Architects of San Francisco after a design competition among six small but well-regarded Bay Area firms. The goal is for the center to open the new $12 million complex in the fall of 2012. "We want to move very quickly," said Sheila Bergman, the ECA's executive director. The center will occupy the shell of a one-story brick industrial building at 40th and Hollis streets. Within it, Jensen proposes to carve an open-air terrace flanked by a three-story glass cube. The "tower" would contain a theater topped by a column-free space that would be available for everything from exhibitions to private events. Besides compressing several uses into one, the idea of the cube is to create a visual symbol for the new city-backed institution. "This should become a landmark beacon, even from the (Interstate 80) freeway," said Mark Jensen, whose firm also designed the graduate studios at the California College of the Arts in San Francisco. Despite a population of less than 12,000, Emeryville is one of the more dynamic cities in today's Bay Area - home to such companies as Pixar and Peet's as well as a large concentration of retail attractions. It's also become a hub for visual artists, and one goal of the center is to make that civic strength more evident throughout the region. More information on the center and design competition is at links.sfgate.com/ZKSL.